If your last surgery was pain free, then it was the magic of the hands of an experienced anaesthelogist. These pain healers have been a part of the medical fraternity for long. However, their role has been limited to preoperative care at hospitals. This has changed lately, and the main driver for this change has been the arrival and mass spread of chronic pain conditions like back pain and joint pains common to the working class population primarily in the urban areas. It was the need of the hour, that anesthesia had to come out from its role of pre-operative care to single speciality care at pain clinics. 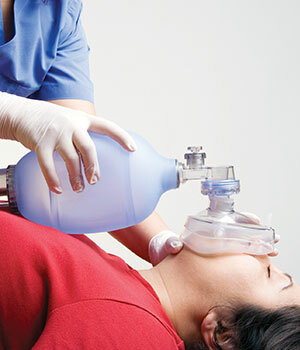 So as technology and techniques evolved in anesthesia, the role of applied anesthesia grew to new leaps and bounds. Today we have chains of specialized clinics offering pain management that is a direct offshoot of anesthesia. Hospitals also have realized the need and importance of pain management for its patients as they know that happy patient is one that is free of pain. And who better can heal him than the friendly anaesthelogist. So hospitals now have dedicated pain clinic for pain management for their patients. Patient is at the heart of all healthcare facilities in any hospital and there are no compromises as far as critical care is concerned as these are life-saving equipment. Technology is all pervasive especially in critical care segments of ICU and OT where each parameter needs to be monitored in real-time to track even a small risk that might indicate the deterioration of patients health. More and more hospitals are going for latest technology. Market for just single parameter or 2 or 3 parameter monitors have almost disappeared. Majority of the purchases are for minimum five parameter and above, says V Balakrishnan, Senior Vice President, Schiller Healthcare India. The second push in advancement has come from the skills and techniques of practitioners that have been brought into pre-operative diagnosis and post-operative care. The recent advancements in nerve blocks as a procedure have become widely used by doctors lately. The technique involves injecting a local anesthetic around a group of nerves and gives direct relief from pain to that organ or specific area of the body. This is beneficial and has therapeutic value for patients in a variety of limb surgeries such as knee replacement, shoulder, hand and foot procedures as well as other surgical procedures. The block relives them of pain and they can easily recoup after doing regular physiotherapy. The patients are happy to get back to their normal lives and the hospital benefits can with better turn-around time, says Dr Kailash Kothari, Spine and Pain Consultant, Global Hospital. The other types of nerve blocks include diagnostic nerve blocks that are being used for investigating the cause of pain, prognostic nerve blocks that help in predicting the outcome of a treatment. It can be used to decide on the decision of permanent surgery and its success rate. As most chronic pain cases are of neck and back the common nerve blocks used is cervical epidural, thoracic epidural, and lumbar epidural block that aims to stop the pain in these areas. The nerve block treatment is highly effective in pain management of both acute and chronic nature. And with growing expertise and skills of doctors in adopting them at hospitals and clinics- anesthesia is able to connect with larger population beyond the boundaries of OT. There is also a significant demand coming from the government projects as they aim to modernize and standardize their healthcare facility. A significant growth driver is the state government initiatives to provide free diagnosis, treatment and medication for people below poverty line. With National Rural Health Mission (NRHM) providing funding various states, the affiliated states Medical System Corporations are more focused in purchasing latest technology devices and making it available in nook and corner of the state. This gives lot of opportunity for growth of medical equipment industry, which is expected to grow at the rate of 15 to 20 percent, says Balakrishnan. Together the complete healthcare ecosystem of hospitals, practitioners and government has created a demand for advanced technology and equipment in anesthesia and break away from its traditional avatar. Thorough research is being done on growing articular cartilage in the joints, which in the future would minimize the need for some people to get joint replacements. Wireless technology has made it possible for medical devices to talk to each other. Today it is possible to share and transfer data at the click of a button. This creates an end-to-end patient safety and efficiency connects with the hospital and doctors. We have also introduced Wi-Fi technology to transmit patient vital signs data to central monitor even when the patient is transported from OT to ICU or wards. We have also introduced a 3G monitor, that transmits the real time data of a patient when taken in an ambulance and the doctor can monitor the patient continuously sitting at his hospital till the time the patient is brought to hospital by using our monitor, informs Balakrishnan. Refurbished devices are another segment that is of value to the small and medium hospitals and clinics as they usually cannot afford the high cost of these high end technology anaesthesia devices. Our target market is basically where the customer is not able to afford technology which is priced at a premium. Companies have been forced to bring affordable products in India as they feel companies like us get a better market share at the lower level. Products are tailored only for the Indian market even though these MNCs have a global presence and these products are not offered elsewhere in the world. Many of the bigger companies do not have reach into smaller towns and cities and this is where most of our focus is, adds Geethu. There has always been a cloud of doubt on the quality and service offered by refurbished devices that keeps most of the hospitals away from investing in them. However with stringent quality checks and verification of the suppliers, the scope of refurbished devices to introduce better technology in anaesthesia can be explored more in India. The roadblocks for value realization of anaesthesia as a field are many. High cost of equipment, return on investments for the hospital, risk and caution of new drugs on patients, lack of an organized skills and training facility and absence of sufficient government support. Anaesthesia is considered as a non-revenue fetching branch especially in private sector, as anaesthesiologists do not bring patients to hospital. Also the cost of new technology and drugs sometimes does not fit into the budget afforded by patient, says Dr Pradnya Sawant, Chief of Department of Paediatric Anaesthesia, Wadia Childrens Hospital. The absence of advanced technology instruments in hospitals leads to a vicious cycle of untrained practitioners in anaesthesia who lack any experience in using these machines. So, even when they are given the opportunity, the clinicians are hesitant to use new gadgets and drugs because fear of complications due to not having experience. Thus resistance to adopt anything new is very high in anaesthesia in most of the medium and small sized hospitals and clinics where maximum population gets their healthcare services. Most of the technical personnel are not exposed to newer anesthesia technology and hence tend to downgrade a unit in terms of its usage. The process of procuring spares for even authorized dealers of MNCs is long and time consuming. Ready and immediate availability of them is still a mirage. Technical personnel for servicing of these equipments are not available in many market places leading to sub standard support being given to the end customers, informs Geethu. There is a need for a strong academic and supplier support environment to bring-in confidence in hospitals and anesthetics on advantages of new technology and technique that will directly benefit the patients especially in need of critical care. The government too has to bring in schemes and programmes that will push the quality and standards of practice in OT to ensure patient health is not compromised at any time. The demand for chronic pain management has led to a mushrooming of pain clinics across the country. The patient today is also well informed of the technology and technique that can ensure his well being. So the demand for better technology and procedures that are pain less and assure him of quick recovery is more. The hospitals are therefore making investment in anaesthesia techniques and doctors. The Indian market is poised to grow very heavily and global brands tend to get the most recall. We are looking at a growth rate of about 20 percent for the coming year and feel that it can be achieved quite comfortably, avers Geethu. The trend would change fast if the equipments become affordable. India is a focus market for many of the companies and pricing strategy will need a relook to expand business here. We will be introducing new design and technology in monitors and our aim is to bring latest technology at affordable prices, informs Balakrishnan. The coming years are growth years as private hospitals are coming in all major cities. An aggressive focus on tier-II towns have now become the investment hubs for major hospital chains as well new entrants in the healthcare sector that will drive the demand of anaesthesia market in India.